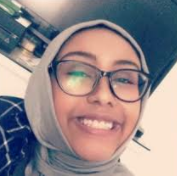 Sterling, Virginia (CNN)– Hundreds of people turned out to the afternoon funeral prayer service for slain Muslim teen Nabra Hassanen, who was brutally attacked and killed with a baseball bat early Sunday. Individuals and families from the local Muslim community in Sterling, Virginia as well as from neighboring towns and other states poured into the All Dulles Area Muslim Society (ADAMS) center Wednesday to pay their respects. The center was so full that the service overflowed into the parking lot in the 80 degree heat. Many of those attending said they felt compelled to come after hearing about the attack in the news and on social media. Others attended because they saw themselves or their family members in Hassanen. Police have not found any evidence that the 17-year-old’s death was a hate crime, though they have not ruled it out completely, authorities in Fairfax County have said. The brutal killing of Hassanen has shaken the local Muslim community — especially as she was attacked hours before a man drove a van into a crowd of worshipers at a mosque in London. It prompted the Council on American-Islamic Relations to issue an alert calling for Muslim communities to step up security for Ramadan-related activities. Hassanen, 17, died of blunt-force trauma to the head and neck, according to the medical examiner’s office. Police say a man fatally beat her with a bat in a weekend road rage incident early Sunday morning, and that it appears the attack was not a hate crime. But her family believes otherwise. Hassanen’s father told CNN earlier this week that he thinks his daughter was killed because she was wearing an abaya, a traditional black cloak. 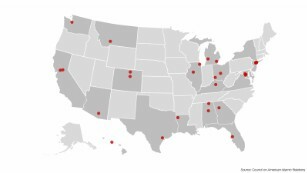 In one year, anti-Muslim hate crimes in the United States rose 67%, from 154 incidents in 2014 to 257 in 2015, according to the bureau’s Hate Crime Statistics report. “That is the highest number since 2001, when the al Qaeda attacks on New York and elsewhere drove the number to its highest ever level, 481 hate crimes,” according to Mark Potok with the Southern Poverty Law Center. The same day her funeral was held, Hassanen’s memorial was torched in Washington. Firefighters responded to a fire at the famous Dupont Circle in the nation’s capital,where an impromptu memorial included flowers and her drawings of her face. Funeral attendees Wednesday were torn on whether they believed the attack was religiously motivated, or if Hassanen was just at the wrong place at the wrong time. Many said they were only starting to wrap their heads around what had happened — but for all of them, it felt personal. For Saniya Salah, 74, who lives around the corner from the mosque that Hassanen left minutes before she was attacked and has granddaughters Hassanen’s age, the attack has shaken her sense of security. “My heart is crying. My heart is bleeding. It could happen to me, or anyone,” she said. Salah has lived in the verdant suburban community since 1985, and said she typically leaves her door unlocked because it’s so safe. Others said they did believe the attack was a hate crime, though they can’t understand why that would happen so close to home. “I don’t know when it’s going to end,” said Nor Ngaliman, 49, who came to the prayer service with her 18-year-old daughter Mariam Ahmed. Ngaliman said she’s been hearing of attacks across the globe, and was especially frightened for her daughter. Ngaliman came to the United States from Malaysia in 2006 and lives in the country with her husband and four children. Although she says she’s happy living and working here in “the best country in the world” — “the most modern, (with) the most civilized people, the most kind people,” she says — she still can’t wrap her head around the animosity that some Muslims face. For Elgengy, who is originally from Egypt and is also thinking about her own teenage daughter, she thinks it’s possible that Hassanen’s death is part of a bigger plan. Turning to walk into the Mosque to pay her respects, Elgengy had one final wish. “God Bless America” she said.